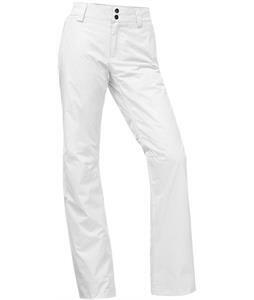 Save 25% off or more on new Womens North Face Ski Pants today! 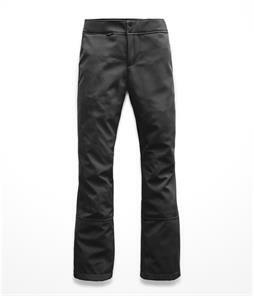 Sold at the best prices only at The-House.com, we also have incredibly quick shipping to get these revolutionary North Face Ski Pants for Women at your door in no time. Don't let the elements ruin your powder day--protect yourself, your style and your experience with new Womens The North Face Ski Pants today. We'll ship it out within 24 hours Monday-Friday! The North Face womens ski pants are the ones you need to perform better and stay comfortable even in the coldest mountains. They possess a variety of standard features that will satisfy all your requirements. This may include a HyVent technology to maintain breathability as you go downhill and easy dissipation of heat. 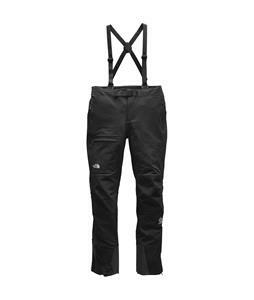 Your new The North Face ski pants for Women may incorporate durable nylon oxford material that can withstand heavy use. The innovative HeatSeeker insulation protects your legs and keeps them warm for hours. Shop for the best quality everyone else is trying to get for their own. 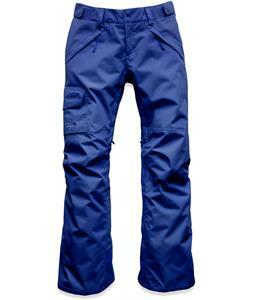 These stylish ski pants are unbeatable in condition and durability. Don’t miss out on the awesome features! Quite easily, the The North Face womens ski pants are the best choice for the ladies when it comes to essential and unique ski apparel.